Home › deep music › Thursday, Ibiza, Bambù club presents Alex Andre and Sensei! 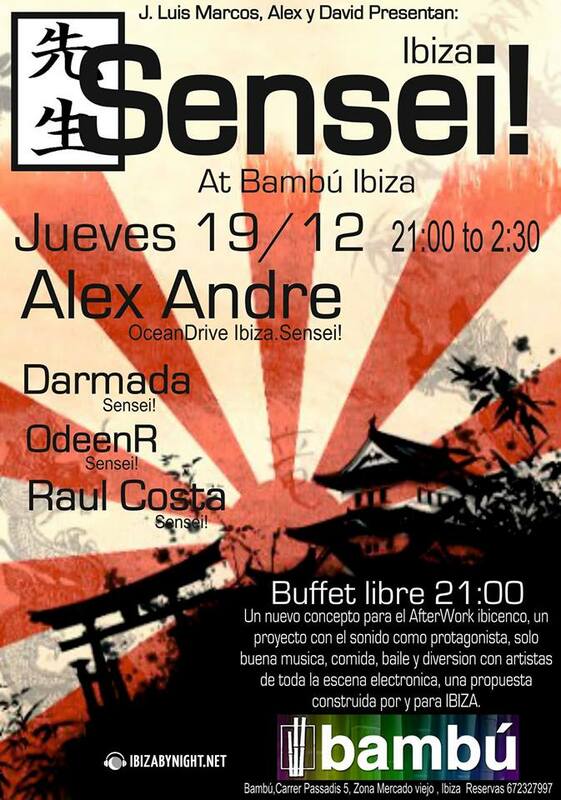 Next Thursday the Bambù club (Carrer Passadis 5, Zona Mercado Viejo, Ibiza) presents from 21,00 till 2,30 a.m.: Sensei! In consolle will play a great friend of Ibiza by night, Alex Andre (Dj resident at Ocean Drive hotel), plus Darmada, OdeenR and Raul Costa! During the night will be offered a free buffet at 21,00..so are you ready? ‹ Friday.. Milano, Italy.. Detroit panther presents: Jamie Jones and Dos!